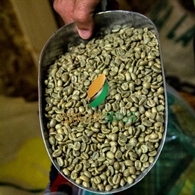 Coffee is one of Vietnam's most important agricultural export products. We are highly competitive as a coffee producer because of ideal climate and environmental conditions, low production costs, and yields among the highest in the world. Vietnamese coffee has been developing fast. To illustrate, in 1975 the country possessed 13,000 ha of coffee producing 6,000 tons. Nowadays, we have 500,000 ha in coffee planting, the output exceeds 1,000,000 tons per year. Song Hy Gia Lai is now playing an important role in Vietnam Coffee industry. Every year, we export green coffee to all around the world. Striving to deliver with fullest of customer's satisfaction, we never lose sight of what really matters - quality. Song Hy Gia Lai is commited to be a reliable partner in coffee industry and provide consistency through modern, flexible processing, intelligent logistics and Robusta expertise.